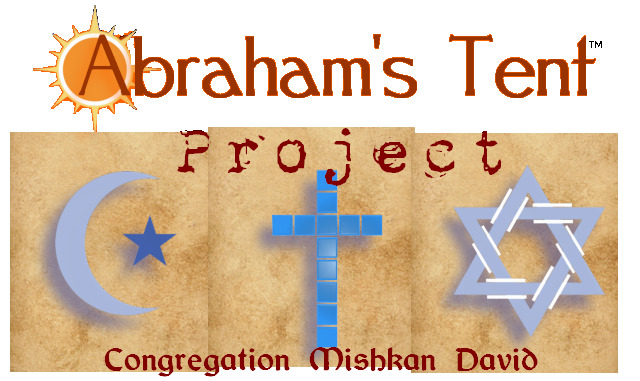 Abraham’s Tent Project is a grassroots effort to show the common threads within Islam, Christianity, and Judaism. We are not attempting to establish the idea that they are all the same nor have the same end. Rather, the prophet king Abraham, peace and grace be upon him, is the Father of faith that all three religions have as their common patriarch. It is in Yeshua, (Jesus) that all three Abrahamic faiths find their fulfillment. It is in Jesus that peace, shalom, salaam, will come. It will be through the gazing with an open heart towards Truth that He will be revealed to those who seek. For hearts polished of the rust will unveil the eyes to see the Messiah, Christ, and Mahdi in Yeshua of Nazareth. Join us as we learn about Islam and how to reach the Muslim people for the Kingdom of God. We will discover how to connect, build relationships, and minister to the hearts of the Muslim people. Love is the key and He has given us the Key of David in Messiah Yeshua. Hallelujah! We have completed the first of a three part seminar and and are planning the second installment now. Watch this page for further details. The video of this summer's conference is now available upon request. Please email Rabbi Aaron at etzchayim07@gmail.com if you have any questions regarding the conferences.